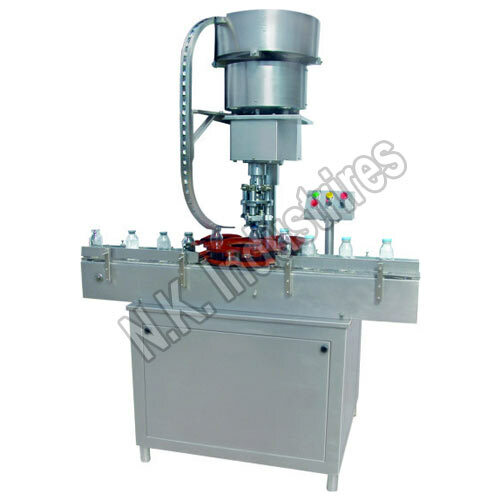 N.K Industries Is Inventor And Manufacturer & Supplier Of Advanced Range Of Vial Sealing Machine. Range Of Vial Sealing Machine Are Careful Designed To Apply The Flip Off Cap & Tear Off Seal On Glass Vial. Vial Sealing Machine Are Avilable In Single Head , Four Head , Six Head , Eight Head And Twelve Head Range As Per The Output Required. One Of Most Prominet Feature Of Our Series Is The Superior No Vial - No Cap System As Well As GPS System (Gradual Pressure Sealing) Which Assure The Quality Sealing.